I saw this sterling silver charm and just had to have it!This necklace is ideal whether for Halloween or to satisfy your dark side. 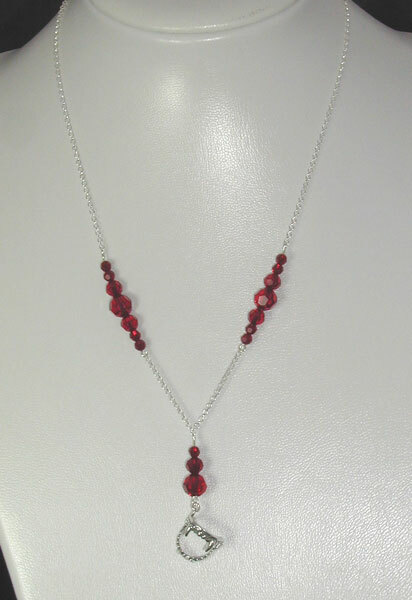 A combination of sterling silver chain and red swarovski round beads in graduated sizes make up this 20" necklace. At the end of the one and a half inch drop is a sterling silver charm.Not only are they amazingly detailed but they are hinged so you can wear the necklace with the teeth open or closed.